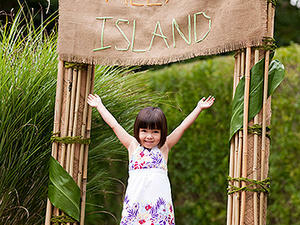 Kids will go wild for this jungle party. 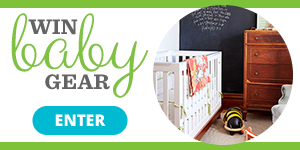 Welcome to the jungle -- we've got fun and games! 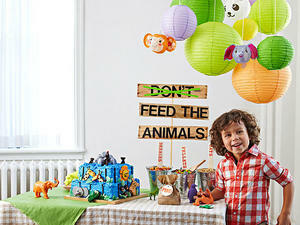 If your kid's a party animal, this jungle-inspired celebration will help him explore his wild side. 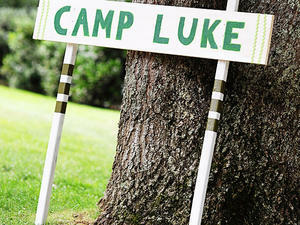 Provide homemade binoculars and encourage guests to hunt for hidden animals. 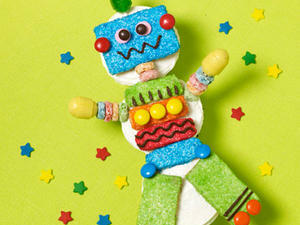 Show off your sly side with a slithering green ssssugar russsh cake! 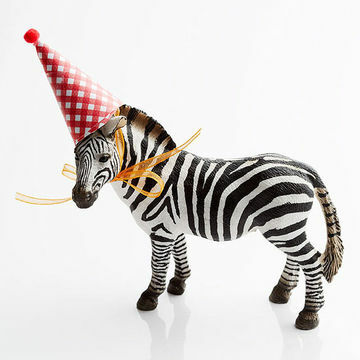 When the party ends, send the kiddies on their way with a safari surprise goodie bag filled with critters, stickers and toys. A jungle party can't have too many animals! 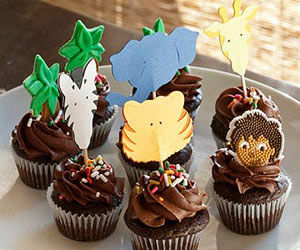 Add some jungly flair to your favorite cupcakes by using simple cupcake toppers. 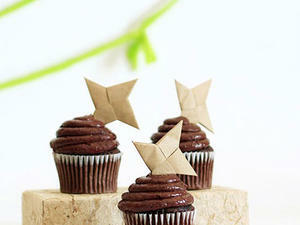 Try everything from fondant leaves and trees to paper animals. Lions and elephants and monkeys... oh my! 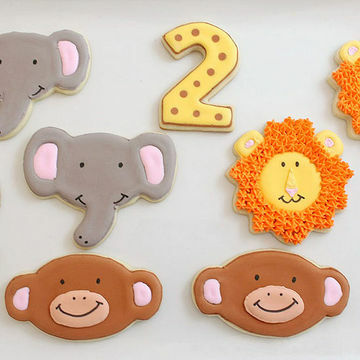 Delight your little explorers with jungle-themed cookies. To make the animal head shapes, use roll-out cookie dough and a cookie cutter set like the Jungle Pets set from Wilton, then decorate with different colored icings. Here's how to make these decorative jungle vines. Cut a bunch of 1 to 1 1/2 inch thick strips of paper from a roll of brown craft paper, and fold each strip into quarters. Wrap each folded strip around your finger to make a spirally vine piece. 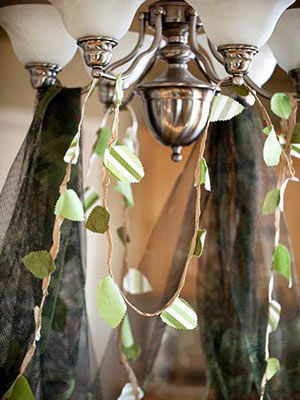 Using scraps of green fabric and felt, cut out leaf shapes with pinking shears. Finally, use a sewing machine to sew a straight line down each vine piece, adding leaves randomly, and sew the long vine pieces together. 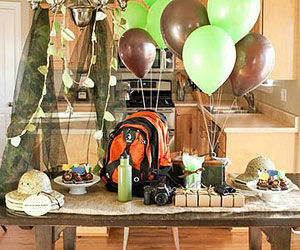 Green and brown balloons, safari hats and accessories, and hanging vines will transform your home into a lush jungle scene. 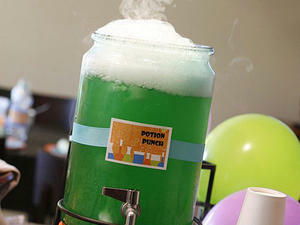 Transform your guests into wild beasts (if they're not already!) with the clever use of face paint. Kids will love having their faces painted when they first enter the party, and they can act our their animal selves throughout the rest of the event. 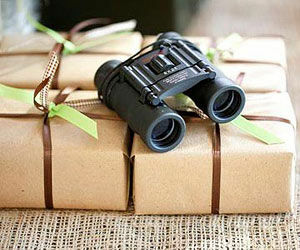 Send your guests home with their own set of binoculars, so they can continue exploring after the party. Don't let the prices scare you -- it's possible to find simple binoculars in the $10 range, and kids' binocs for even less. Wrap them up with brown paper packaging.